This is how you can make purchases on eBay in USA (global), Canada, Australia or UK without singing/logging in — using the eBay guest user login link for 2019. When making a one-time purchase or very seldom purchases, a user account on eBay is not that necessary. Many site functions can be used without one. The biggest restriction is that you cannot place bids, or bid items on eBay without an account. But the site is filled with “buy it now”, items that you can purchase. 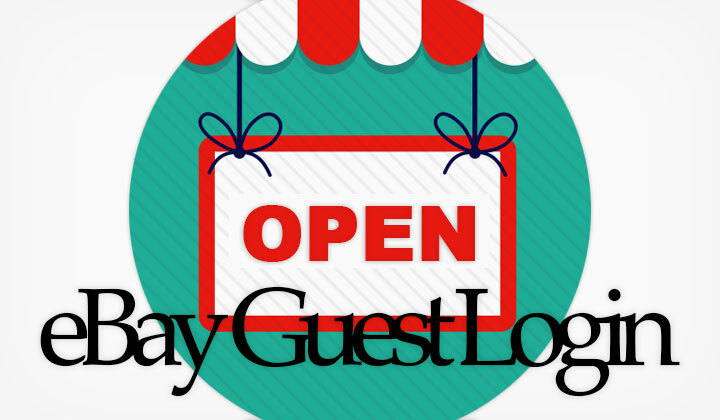 With the guest login, you can still track items, contact sellers, and so on.. Here are the step-by-step instructions on how to buy on eBay without having to sign in or create a user account — any questions, comments below. Step 1. First you need to add the item or items that you want to purchase into the shopping cart, using the blue “add to cart button”. Step 3. Select “Continue as guest”. Step 4. Enter shipping address, and go through PayPal payment to complete order. After successful purchase, you will have an option to create a user account on eBay, however this is completely voluntary. Check your email for further information. And that’s how easy it is to buy stuff without singing into eBay. Any questions, or related comments about eBay’s guest login feature? Did the link work for you? Your input most welcome below! Further notice; Wherever appropriate, affiliate links are placed within the content of this blog. It provides an opportunity for visitors to reward my efforts without any additional cost. Biggest thanks for your support! Sincerely, David. Those with problems… I’d love to explain, and investigate further but I would need to know exact details on the issue. (a) what kind of purchase (b) when and how does the problem occur (c) what have you tried so far, etc. — thanks! Great to hear. Should be pretty straightforward. Hi. That is perfectly fine and exactly what the option to make purchases as a guest is for. Please, see the official guide for “closing your account” for instructions. Hope this post helped and further questions welcome. Regards, David.